Westport, N.Y. – The Board of Trustees of the Depot Theatre is pleased to announce that the organization’s 36th season was an unquestionable success, ending the fiscal year in the black for the first time in four years thanks to high attendance and generous contributions from donors and volunteers. This news is especially gratifying given the financial shortfall that required the board to implement organizational changes at the close of the 2013 season in an attempt to secure a sustainable future for the organization. Following the expert advice of the New York Council on Non-Profits and a newly-formed Advisory Council of former trustees and friends, the board implemented a recovery plan that adjusted the length of the season and experimented with a seasonal staffing model that included a full-summer interim producing director and several essential part-time staff. Restructuring and cost cutting did not diminish the organization’s commitment to producing quality professional theatre. In 2014, all of the actors and stage managers were engaged on Actors’ Equity contracts and received pension and health contributions from the Depot. “We’re tremendously grateful to the community, its generous donors and volunteers for the amount of support they have given to secure the future of this theatre – the only theatre company in the Adirondacks that operates under an agreement with Actors’ Equity Association,” said Howson. The Depot Theatre is currently conducting a staffing search and plans to announce next year’s season lineup in early 2015. For updates and more information, visit www.depottheatre.org. 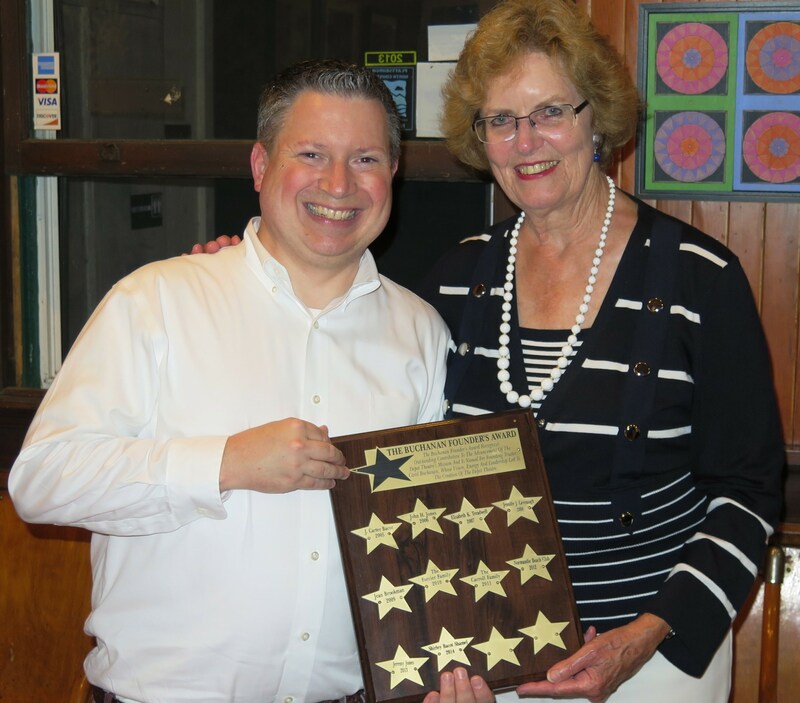 The board extends its most heartfelt gratitude to Shirley Bacot Shamel, 2014 recipient of the Depot Theatre Buchanan Award, which was presented to her at the closing show of the season. Shamel, a longtime member of the Board of Trustees, continues to dedicate her expertise, time and resources to advance the Depot Theatre’s mission. Maureen Carlo, Jim Carroll, Beth Glover (vice president), David Howson (president), John Klipper (treasurer), Lawrence Masle, Amy McNamara (secretary), Kimberly Rielly and Shirley Bacot Shamel. Linda Beane, Bonnie Brewer, Randy Buck, George Davis (honorary chair), Gordon Decker, Howard Fish, Michael McDonald, Mary Ellen O’Loughlin, Libby Pataki, Cheri Phillips, Jane Preston, Sharon Reynolds, Annie Scavo and Sally Struthers.